Wessanen and the owners of Abbot Kinney's have signed and completed the acquisition of Abbot Kinney's by Wessanen today. 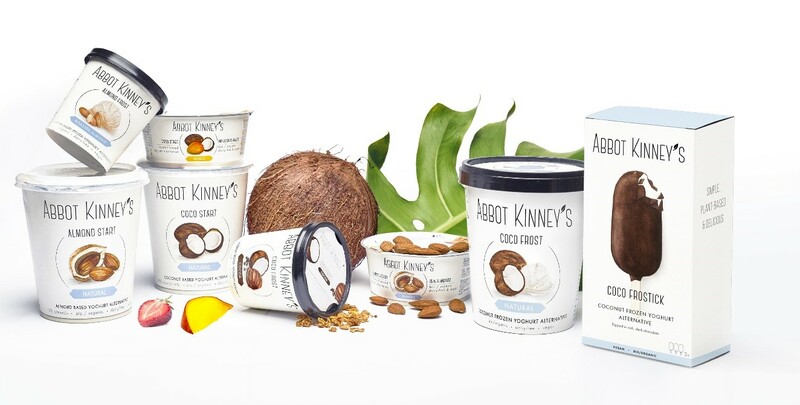 Abbot Kinney's is a young and very dynamic innovation leader in organic almond and coconut based yoghurt alternatives and ice-cream. Founded in 2014, Abbot Kinney's already built a leading position in its category in Health Food Stores in The Netherlands and has started to build a strong presence in key markets across Europe. Plant based food is at the heart of the Wessanen strategy and Dairy Alternatives is one of our core categories, present across all key countries in Europe and beyond. Abbot Kinney's plant based yoghurt alternatives and ice-cream are a welcome addition to Wessanen's Dairy Alternative category, which until now for the larger part consisted of ambient drinks. Moreover the brand fits very well into Wessanen's existing portfolio of healthy and sustainable brands. Christophe Barnouin, CEO of Wessanen, said: "Driving the change to plant based food is the essence of our strategy. The acquisition of Abbot Kinney's is a further step in accelerating growth and innovation in our core categories. Beyond drinks, the segment of plant based yoghurt alternatives and ice-cream is an excellent and so far mostly untapped growth opportunity for us. Abbot Kinney's is a fast growing and innovative brand that has developed a range of strong products which we believe will thrive within the Wessanen family." Jimme Slippens and Gijs van Maasakkers, founders of Abbot Kinney's commented: "We are very enthusiastic joining forces with Wessanen. The past years we have worked hard to establish a brand that believes in an organic and plant based future of food; important beliefs that we also found at Wessanen. With a mission to make plant based dairy alternatives mainstream, we are certain that joining the Wessanen family will make Abbot Kinney's the leading brand on plant based dairy alternatives innovation in Europe."